Many kids who had the arduous task of mowing their parents lawn, clipping hedges, or pulling weeds probably said to themselves, "I'm going to use a lawn care company when I'm older and get my own house." For many, that proclamation turned into reality, as a lot of homeowners choose to hire companies like TruGreen, and National Grass Cut Inc., because their lives are just too busy for yard-work, or they simple hate doing it. One would imagine the business exchange between consumer and lawn care company would be quite simple. The consumer obtains a reputable company, an estimate is provided, and the workers come and give your lawn that tidy golf course look. But many times it's not that simple. Plenty of consumers across the U.S. have reported cases of lawn care companies doing poor yard work, having questionable billing practices, and using harmful lawn chemicals. A perfect example is the Kansas-based Ryan Lawn and Tree. The company is swimming in a sea of lawsuits claiming it used a harmful herbicide that killed trees, bushes and plants on the yards of several residents. One of the plaintiffs in the lawsuit is suing the nationwide company for the sum of $50,000, alleging that Ryan Lawn killed over 75 trees and bushes on his estate. 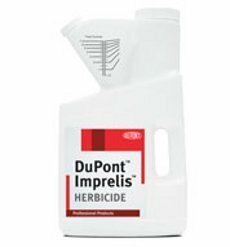 The landscapers used the controversial herbicide Imprelis, created by the chemical company Dupont. In 2011, the product was pulled by the Environmental Protection Agency, but many companies already used it before it was taken off shelves. A report conducted by Ohio State University about selecting proper lawn care service showed that consumers should become well acquainted with the various types of lawn care options and company programs. The authors of the report say it's imperative for homeowners to select the right company and service for their specific landscape needs. Many companies have a standard or basic package, but what that service actually entails will differ from company to company -- and may not be appropriate for your specific situation. While some plans may be inadequate, others may have more service than what's actually needed. The report states that consumers should call at least two to three companies before choosing one. The authors of the report also tell consumers to find out how much and what type of fertilizer a company uses, as it must comply with state laws for the amount of nitrogen the fertilizer contains. For example, Maryland's Nutrient Management Law not only regulates fertilizer use, it makes lawn companies test the soil, and keep records of when and what type of chemicals it uses. The Maryland Department of Agriculture (MDA) also makes sure commercial lawn companies properly apply chemicals to yards. Similiar laws are established across the U.S. Lawn care experts say consumers should ask neighbors or friends for recommendations of yard service companies instead of choosing one blindly. In addition, cost shouldn't be the sole factor in selecting a lawn care company, as better fertilizers and higher-quality service will obviously cost more, but will pay off over time. Homeowners should know exactly what they want done to their yards before the company arrives, while also staying away from general flat rates. A free inspection should be done to determine the size of your yard, as not one rate should be applied to every yard. The size of your yard will also determine the proper amount of fertilizer the company should use. Additionally, it's important for homeowners to lock down guarantees in writing for things like response times, pricing and materials used. One should also know the names and faces of who will be working on your yard, as people have reported seeing phony uniformed workers showing up early, saying they're part of the work team. "A man with a TruGreen logo shirt rang my door bell," said Cheryl in a complaint posted on ConsumerAffairs. "Not knowing him and having seen a 'beware of scammer alert' from the local news, I wouldn't open the door. As he left, he made an inappropriate comment about my talking through the door." Kudos to Cheryl for listening to her gut instinct. Consumers should also make sure a company is certified according to state laws, especially if the company is using pesticides. Kawasaki Motors Corp. USA of Grand Rapids, MI, is recalling about 210,000 lawn mower engines. The fuel filter can leak, posing a fire hazard. The company has received 110 reports of fuel leaks. No injuries are reported. This recall includes Kawasaki FH, FR, FS and FX series engines used in riding and wide area, walk-behind lawnmowers made and sold under the following brand names: Ariens, Bad Boy Mowers, Big Dog, Bob-Cat, Bush Hog, Country Clipper, Cub Cadet, Dixie Chopper, Dixon, DR Power Equipment, Encore, Exmark, Ferris, Gravely, Hustler, Husqvarna, Land Pride, SCAG, Simplicity, Snapper Pro, Tiger Corp, Toro, Worldlawn and Woods. Engines may have also have been bought separately and used in other lawn mowers. Recalled engines are 13 to 36 horsepower, air-cooled, v-twin engines. “Kawasaki” and the model number are printed on the top of all of the engines. In addition, the spec and serial numbers are printed on a label on one side of the engine. 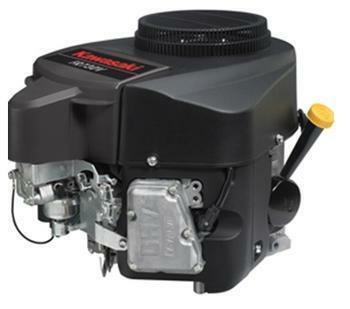 The engines, manufactured in the U.S., were sold at authorized Kawasaki small engine dealers and lawn and garden equipment retailers nationwide. Recalled units were sold between October 2011 and August 2012 for between $2000 and $10,000. Consumers may contact Kawasaki Motors; toll-free at (866) 836-446, from 8 a.m. to 5 p.m. ET, Monday through Friday, or e-mail the firm at ffrecall@kmc-usa.com for more information. Shivvers Manufacturing of Corydon, Iowa, is recalling about 450 riding lawn mowers. This recall involves Edge, Edge XLT and Wrangler lawn mowers. The red riding lawn mowers have a gray seat with a foam cushion, black arm rests and either black or gray joystick or twin lever steering. “Country Clipper” and the model name appear in black letters on the front under the seat and on the sides of the lawn mower. The model number is located on a silver metal plate on the mower’s side rail. The lawn mowers, manufactured in the U.S., were sold at Country Clipper lawn mower dealerships nationwide from June 2015, to September 2015, for between $4,000 and $6,600. Consumers should immediately stop using the lawn mowers and contact a Country Clipper Dealer to schedule a free repair. Shivvers is contacting owners of the recalled lawn mowers directly. Consumers may contact Country Clipper at 800-344-8237 from 8 a.m. to 5 p.m. CT Monday through Friday or online at www.countryclipper.com for more information. Husqvarna Consumer Outdoor Products of Charlotte, N.C., is recalling about 235,000 lawn mowers sold in the U.S. and Canada. 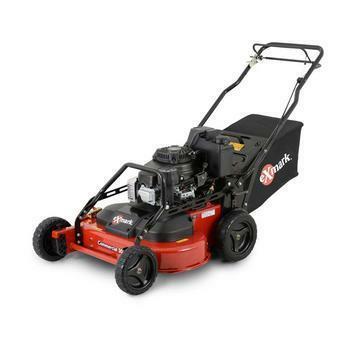 This recall involves Husqvarna, Poulan Pro, Jonsered, Craftsman, Yardworks, Murray, and Brute brand walk-behind gas powered lawn mowers with Briggs & Stratton 7.25 HP engines. The mowers were sold in red, orange, blue and yellow/black colors and have either four similar-sized wheels or two larger rear wheels and two smaller front wheels, a long handle with an operator presence control bar that is pushed down towards the mower handle to start the engine, a mowing deck, and may have come with or without a collecting bag in the rear. The brand names are printed on the mowers, and a Briggs & Stratton logo is printed on the engine shield. The mower model and serial number can be found on the rear of the mowing deck, next to the rear wheel. The mowers, manufactured in the U.S., were sold at Lowe’s, Sears and other hardware stores, home centers and equipment dealers nationwide from November 2015, through August 2016, for between $250 and $450. Consumers may contact Husqvarna toll-free at 877-257-6921 from 8 a.m. to 6 p.m. (ET) Monday through Friday, by email at recalls@husqvarna.com or online at http://husqvarna.custhelp.com/app/answers/detail/a_id/1255/ for more information. Murray is recalling about 8,000 lawn mowers, lawn tractors and garden tractors. Plastic components can crack if they are struck by an object thrown from the blade. Objects can be ejected from the mower unexpectedly and could hit those nearby. The recall includes certain 20-, 21-, and 22-inch walk-behind lawn mowers; certain 30-inch mid-engine riding lawn mowers; certain 38-, 40-, 42-, and 46-inch lawn tractors; and certain 46-inch garden tractors. They are red, black or gray. Murray is written on the body of the mowers. The machines were sold at Wal-Mart, Home Depot, and Northern Tool nationwide from November 2003 through February 2004. The walk-behind mowers sold for between $99 and $368. The riding mowers sold for between $758 and $1,748. Consumers should stop using the recalled lawn equipment immediately and contact a Murray Service Center with the model number and date of manufacture (found on the nameplate) for a free repair. Consumer Contact: For more information, consumers should call Murray toll free at (800) 316-1073 between 8 a.m. and 5 p.m. CT Monday through Friday, or visit their Web site at www.murray.com. March 23, 2004 Murray is recalling about 8,000 lawn mowers, lawn tractors and garden tractors. Plastic components can crack if they are struck by an object thrown from the blade. Objects can be ejected from the mower unexpectedly and could hit those nearby. Country Home Products of Vergennes, Vt., is recalling about 3,900 Pro leaf and lawn vacuums. This recall involves Premier, Pro and Pro-XL models of the tow-behind DR leaf and lawn vacuums manufactured by Country Home Products. Recalled units have a serial number between LLV34601 and LLV39980. The leaf and lawn vacuums are towed behind a riding lawnmower to collect leaves and are tan and black in color with a set of two wheels on each side. The DR logo with “Professional Power Done Right” and “leaf and lawn vacuum” are printed on the side of the vacuum. The serial number is located on the left side of the tow bar near the engine. The vacuums, manufactured in the U.S., were sold at Country Home Products catalog, website and authorized dealers nationwide, including Tractor Supply Company, from August 2014, through September 2015, for between $1,300 and $2,200. Consumers should immediately stop using the recalled leaf and lawn vacuums and contact Country Home Products to receive a free repair kit that contains a replacement muffler and instructions for completing the repair. Consumers unable to install the repair kit should contact the firm for information on authorized dealers who can install the free repair. Country Home Products is contacting all purchasers directly. Consumers may contact Country Home Products toll-free at 877-220-0691 from 8 a.m. to 7 p.m. (ET) Monday through Friday, by email at vacrecall@chp.com or online at www.DRPower.com and click on “Product Recalls” for more information. Murray Inc. is voluntarily recalling about 270,000 riding lawn tractors. The fuel tank can crack and leak fuel, posing a burn and fire hazard to consumers. Consumers should stop using these lawn tractors immediately and contact the nearest Murray Service Dealer for a free replacement fuel tank. For more information, consumers should contact Murray at (800) 876-1634 between 8 a.m. and 5 p.m. CT Monday through Friday or visit the company's web site at www.murray.com. March 6, 2003 Murray Inc. is voluntarily recalling about 270,000 riding lawn tractors. The fuel tank can crack and leak fuel, posing a burn and fire hazard to consumers. WASHINGTON, July 29 -- WCI Outdoor Products is recalling about 1,600 Ranch King tractors to repair a fuel line. The existing fuel line on these tractors can be misrouted near the ground drive belt or steering gears, which can result in it becoming damaged or cut, and allowing gasoline to spill. This poses a risk of fire and burn injuries to consumers. The recall was announced in cooperation with the Consumer Product Safety Commission. WCI says it has received one report of a minor fire and two reports of damaged fuel lines. No injuries have been reported. The serial number and manufacturer's ID are on a label affixed to the fender, under the seat. These hydrostatic drive tractors were sold with a 46-inch mower deck. "Ranch King" or "Ranch King Pro" are written on the sides of these tractors. Consumers should stop using these tractors immediately. Consumers should call WCI Outdoor Products, Inc. to determine if their tractor is part of this recall, and to arrange for a free repair if needed. For more information, call WCI Outdoor Products, Inc. at (888) 677 2995 between 8 a.m. and 5 p.m. EDT Monday through Friday. Consumers should have the manufacturer's ID and the serial number of their tractor available when they call. The existing fuel line on these tractors can be misrouted near the ground drive belt or steering gears, which can result in it becoming damaged or cut, and allowing gasoline to spill. This poses a risk of fire and burn injuries to consumers. The recall was announced in cooperation with the Consumer Product Safety Commission. 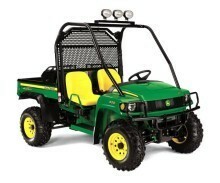 Deere & Company of Moline, IL, is recalling about 4,650 Gator utility vehicles. The fuel line can separate, posing a fire hazard. The company has received three reports of separated fuel lines. No injuries have been reported. 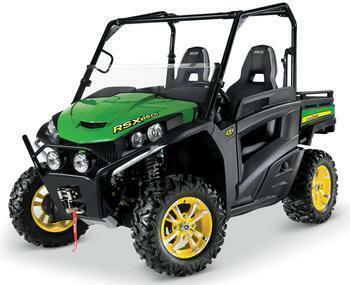 This recall involves John Deere Gator RSX850i Base, Sport and Trail model recreational utility vehicles manufactured between May 2012 and October 2012. They have side-by-side seating for two people and were available in Realtree Hardwoods HD Camo, olive and black, or traditional green and yellow. RSX850i is located on the hood. The serial number is on the rear frame above the receiver hitch. The vehicles, manufactured in the U.S., were sold at John Deere dealers nationwide from August 2012 through October 2012 for between $12,900 and $15,500. Consumers may contact Deere and Company at (800) 537-8233, from 8 a.m. to 6 p.m. ET Monday through Friday, and Saturdays from 9 a.m. to 3 p.m. ET. The Toro Co., of Bloomington, Minn., is recalling about 37,000 Z Master Riding Mowers (about 2,600 units were previously recalled in November 2012). The idler pulley can rub against the mower's fuel tank, posing a fire hazard. Toro has received six reports of incidents. No injuries have been reported. 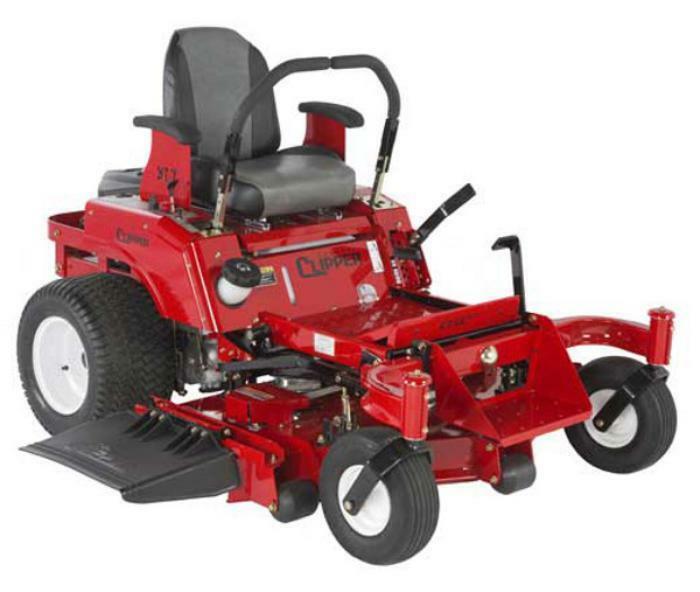 This recall involves 2012 and 2013 Toro Z Master Commercial 2000 Series ZRT riding mowers. The mowers are red and black. "Toro" and "2000 Series" are printed on the side and "Z Master Commercial" on the front of the mowers. When viewed from the operator's seat, the model and serial numbers are on a metal plate located at the front of the mower, below the seat, on the right-hand side. model number 74145 with serial numbers ranging from 312000101 to 312001178 and 313000101 to 313000443. The mowers, manufactured in the U.S., were sold at Toro dealers nationwide from January 2012, through April 2013, for between $7,700 and $8,700. Consumers should stop using the recalled mowers immediately and contact a Toro dealer to schedule a free repair and/or to check if the repair has already been made to the mower. 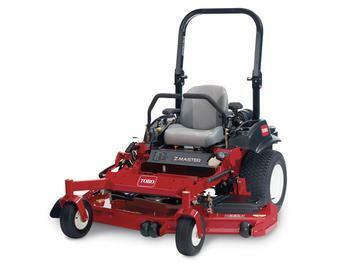 Toro has contacted registered owners of the recalled mowers. Consumers may contact Toro toll-free at (855) 493-0090, from 8 a.m. to 5 p.m. CT Monday through Friday. 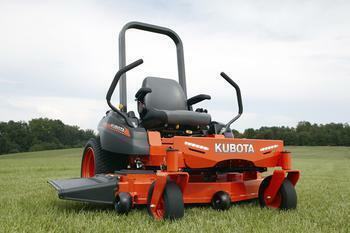 Kubota Manufacturing of America of Gainesville, Ga., is recalling about 8,600 ZG100 Series Zero Turn riding mowers. The fuel tank’s pressure relief valve can malfunction, causing the tank to expand and rub against the transmission drive belt and drive cooling fan. This can wear a hole in the fuel tank and cause a fuel leak, posing a fire hazard. The firm has received 56 reports of mowers’ fuel tanks leaking. No injuries or property damage have been reported. Model ZG127S with serial numbers between 10003 and 12959. Kubota is printed on the front of the mower and on the side. The model and serial numbers are printed on the data plate on the left part of the frame near the operator’s foot area. The mowers, manufactured in the U.S., were sold at authorized Kubota dealers nationwide from December 2012 through April 2013 for between $5,000 and $6,300. Consumers should immediately stop using the recalled mowers and contact Kubota for a free repair. Kubota is contacting its customers directly. Customers may contact Kubota at (800) 752-0290; from 8:30 a.m. through 4:30 p.m. PT Monday through Friday. The Toro Company of Bloomington, Minn., is recalling about 36,100 TimeMaster and TurfMaster lawn mowers. The mower’s blade can break and injure the user and others nearby. Toro has received ten reports of blades breaking. No injuries have been reported. This recall involves 2013 Toro TimeMaster 30” and 2013 Toro TurfMaster 30” lawn mowers with the following model and serial numbers: Model number 20199 with serial numbers ranging from 313000101 to 313020271; model number 20200 with serial numbers ranging from 313000101 to 313007366; and, model number 22200 with serial numbers ranging from 313000101 to 313007146. The phrases “TimeMaster” or “TurfMaster” and “Toro” are printed on the front of the black and red mower. “Toro” is also printed on the side of the mower. The model and serial numbers are located on a decal affixed to the engine base above the left rear tire. The mowers, manufactured in Mexico, were sold at Toro dealers nationwide from November 2012, through October 2013, for between $999 and $1,799. Consumers should immediately stop using the recalled mowers and contact Toro for a free repair. Consumers may contact Toro toll-free at (855) 340-7686 from 8 a.m. to 5 p.m. CT Monday through Friday. Exmark Manufacturing Company of Beatrice, Neb., is recalling about 7,200 Commercial Walk-Behind Mowers in the U.S. And Canada. The mower’s blade can break and injure the user and others nearby. No incidents or injuries have bee reported. This recall involves 2013 Exmark Commercial 30” Walk-Behind Mowers, model ECKA30 and serial numbers ranging from 313605897 to 313660824. The phrases “Commercial 30” and “Exmark” are printed on the front of the black and red mower. “Exmark” is also printed on the side of the mower. The model and serial numbers are located on a decal affixed to the engine base above the left rear tire. The mowers, manufactured in Mexico, were sold at Exmark dealers nationwide from November 2012, through October 2013, for about $1,800. Consumers should immediately stop using the recalled mowers and contact Exmark for a free repair. Tired of the noise and exhaust fumes of small gas-powered lawnmowers, we decided to field test one of the new cordless electric mowers. We checked Home Depot and other likely suspects but found none in stock. Oddly, Amazon.com had them. It even had reviews by happy users, as though it was a novel about lawn mowing. Equally oddly, Amazon quoted a delivery price of about $5. Do they think this thing's a book? Excel Industries of Hesston, KS, is recalling about 18,000 Hustler and BigDog lawn mowers. The fuel tank vent valve fitting can fail to seal and cause a fuel leak, posing a fire hazard. The firm is aware of 152 incidents of vent valve fittings failing. No injuries or property damage have been reported. The Hustler and BigDog brand riding or walk-behind lawn mowers were sold in the following colors: Hustler models in yellow; BigDog models in red. They have large mowing decks ranging from 36 to 72 inches. Model name and serial numbers can be found on a tag located on the left side of the frame in the front of the mower's fender. Consumer may contact Excel Industries; (800) 748-8223, 8 a.m. to 5 p.m. CT Monday to Friday. 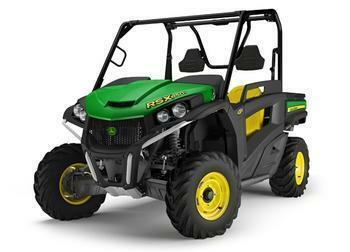 Deere & Company of Moline, IL, is recalling about 4,700 John Deere Gator RSX850i Base utility vehicles. The oil filter can leak, posing a fire hazard. Pinholes or cracks have been identified in oil filters installed by the engine supplier which were not manufactured to specification. The company has received four reports of incidents resulting in fires. No injuries have been reported. The vehicles, manufactured in the U.S., were sold at John Deere dealers nationwide from August 2012 through January 2013 for between $12,900 and $15,500. Consumers may contact: Deere and Company at (800) 537-8233, from 8 a.m. to 6 p.m. ET Monday through Friday, and Saturdays from 9 a.m. to 3 p.m. ET. 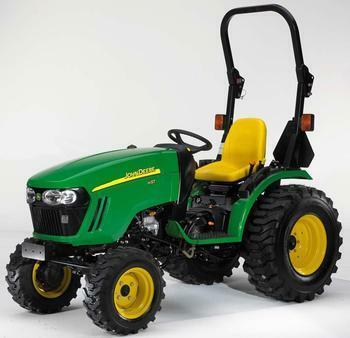 Deere & Company of Moline, Ill., is recalling about 7,000 compact utility tractors. The spring locking pins in the rollover protective system (ROPS) can break and cause the ROPs to fail in the event of a rollover. This presents a risk of serious injury or death to the operator. The company has received three reports of broken spring locking pins and identified two failed spring locking pins in the manufacturing assembly process. There are no reports of injuries. The tractors, manufactured in the U.S, were sold at John Deere dealers nationwide from February 2013, through July 2013, for between $11,500 and $35,700. Consumers should immediately stop using the compact utility vehicles and contact a John Deere dealer for a free repair. John Deere is contacting all registered owners of the recalled compact utility tractors directly. Consumers may contact Deere and Company at (800) 537-8233, from 8 a.m. to 6 p.m. ET Monday through Friday, and Saturday from 9 a.m. to 3 p.m. ET. Shivvers Manufacturing of Corydon, Iowa is recalling about 2,011 riding lawn mowers in the U.S. and Canada. The company has received reports of four lawn mower ignition modules overheating and melting. No injuries have been reported. 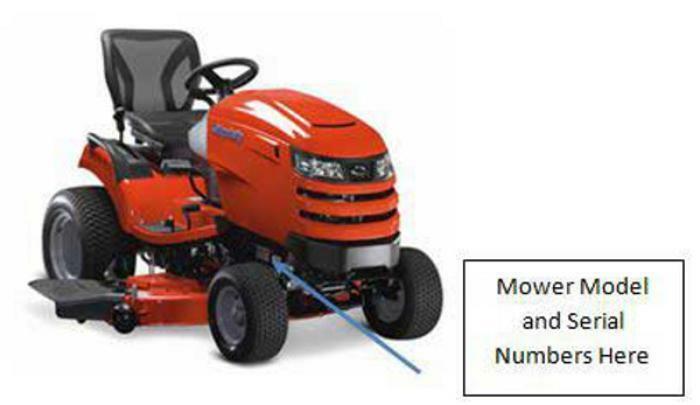 This recall involves model year 2012, 2013 and 2014 Country Clipper riding lawn mowers. The recalled mowers are equipped with 27-horsepower Kohler Command CV740 or Kohler Courage SV740 twin cylinder engines. The Command engine is dark gray and has the name and model number on a label on the side of the engine near the air filter. The Courage engine has a black engine shroud and has the name and model number on the top of the shroud. The recalled mowers are steered by either a joystick or two steering arms. The recalled mowers were manufactured from October 2011, to May 2014, and include the model names Challenger, Charger, Edge, Jazee, Jazee Pro and Jazee Pro DLX. 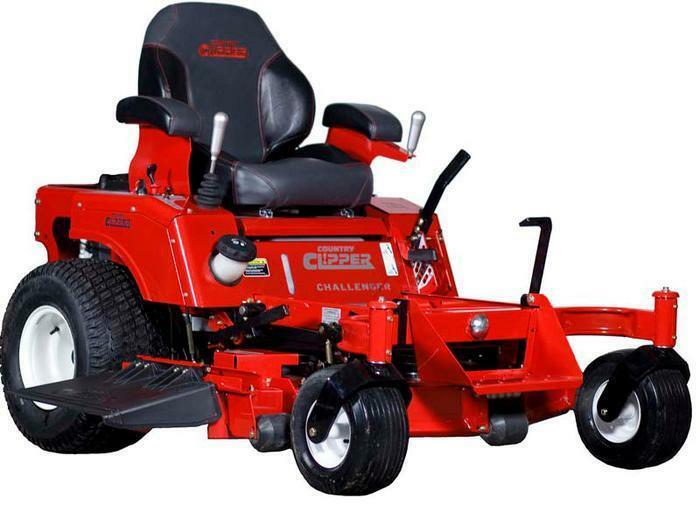 The mowers, manufactured in the U.S., were sold at Country Clipper lawn mower dealers nationwide from October 2011, to May 2014, for between $5,300 and $9,500. Consumers may contact Country Clipper at (800) 344-8237 from 8 a.m. to 5 p.m. CT Monday through Friday. Husqvarna Consumer Outdoor Products of Charlotte, N.C., is recalling about 700 Craftsman 21-inch 3-in-1 high-wheel gas-powered push mowers. The engine control/bail lever on the handle can fail, allowing the engine to run and the blades to rotate, posing an injury hazard to consumers. 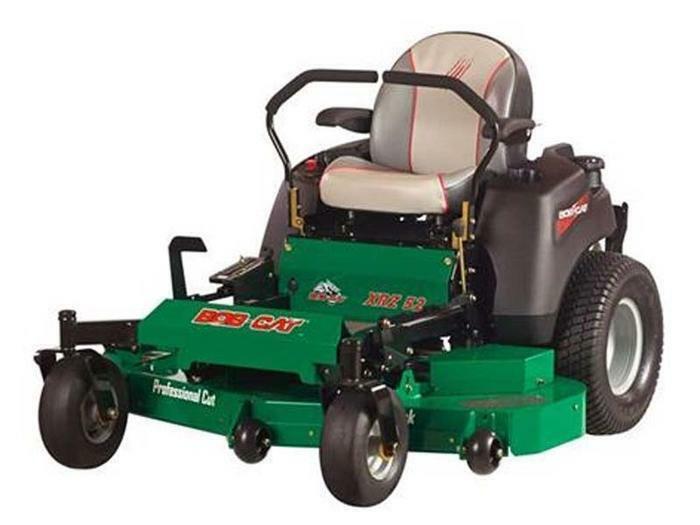 This recall involves Craftsman 3-in-1 high-wheel, gas-powered, push mowers equipped with Honda GCV160 engines and a 21-inch deck. The mowers have a black engine control/bail lever, engine shroud and deck with 12-inch rear wheels and a gray cloth clipping bag. The Craftsman logo and "GCV 160" are on the top front of the engine shroud. "Honda" is on the top of the pull cord housing cover. The Craftsman logo is also stamped into the rear discharge chute cover and printed on the sides of the clipping bag. "Dust Blocker" and "EZ Empty Bag" are printed on the top of the clipping bag. The first six numerals of the serial number are the manufacture date in the MMDDYY format. 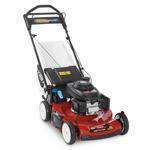 The recalled mowers were manufactured between April 2014 (04xx14) and June 2014. The mowers, manufactured in the U.S., were sold exclusively at Orchard Supply Hardware stores from June 2014 to July 2014 for about $300. Consumers should immediately stop using the mower and contact the Husqvarna for a free repair. The company is contacting consumers directly. Consumers may contact Husqvarna toll-free at (877) 257-6921 Monday to Friday between 8 a.m. and 7 p.m. ET. 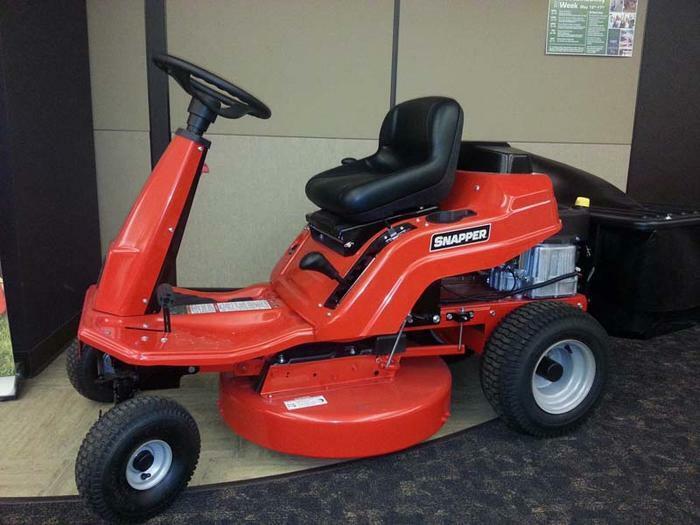 Briggs & Stratton Power Products Group of Milwaukee, Wis., is recalling about 8,500 Snapper rear engine riding mowers. The weld on the drive axle can fail resulting in loss of brake control, posing an injury hazard. The company has received two reports of brake failure, related to failed weld. No injuries have been reported. 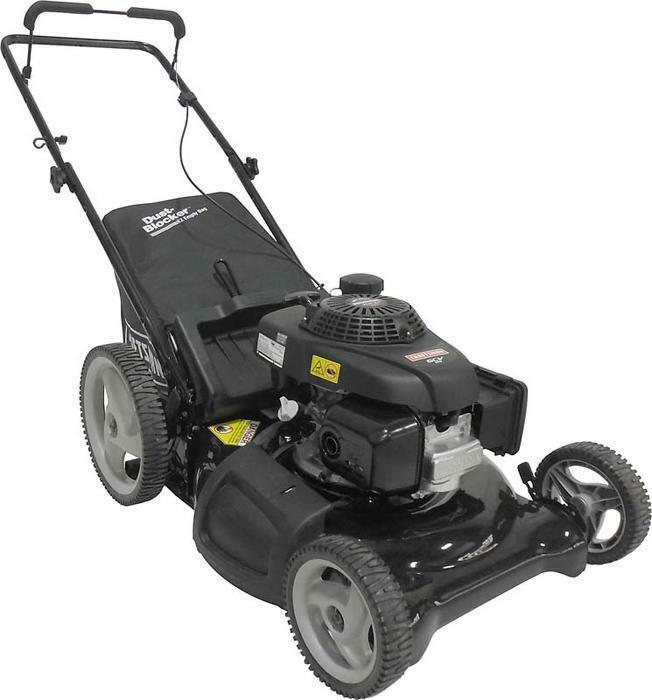 This recall involves 6 models of Briggs & Stratton Snapper rear engine riding mowers. The mowers are red with a black fuel tank, steering wheel and seat. The name Snapper is printed on both sides of the mower. The model and serial numbers are on a label on the engine platform under the right side of the seat. The mowers, manufactured in the U.S., were sold at Family Farm stores, Power Equipment Direct and Briggs & Stratton Snapper dealers nationwide from April 2013 through May 2014 for between $1,300 and $2,000. Consumers should immediately stop using the recalled mowers and contact an authorized Snapper service dealer for a free repair. Consumers may contact Briggs & Stratton Corporation at (800) 935-2967 from 7:45 a.m. to 4:30 p.m. CT Monday through Friday. Bob-Cat is recalling about 4,900 Zero Turn riding mowers. The steering control arm component can break under normal use, causing driver to lose control and crash. There have been 22 reports of control arm failure, including failure during use and initial set-up. There have been no reports of injuries. The CRZ and XRZ model riding mowers have a chassis with an adjustable10-gauge green steel mower deck. The frame, fuel tank, engine compartment and side discharge chute are made of black metal and plastic components. The mowers have four black wheels, two user-operated lever-arm controls and a gray adjustable high-back seat. The mowers range in size from 76 inches to 79 inches long and 45 inches high. The words “Bob Cat” appear in red lettering on the front of the mower and on top of the mower deck, and in a red and white designed logo on the sides of the mower. The words “TufDeck” and “Professional Cut” appear in white lettering on the front face of the mower deck. The plate containing the serial and model number is located under the seat on the frame cross-member. The mowers, manufactured in the U.S, were sold at Bob-Cat dealerships nationwide from January 2013, to April 2014, for $4,500 to $5,200. The mowers should be returned to the dealer where purchased for free repairs with a newly designed control arm component. Consumers who completed the warranty registration card were contacted directly by Schiller Grounds Care, Inc, with instructions for obtaining the repair. Consumers may contact Bob-Cat toll free at (866) 469-1242 between 8 a.m. and 5 p.m. CT Monday through Friday. 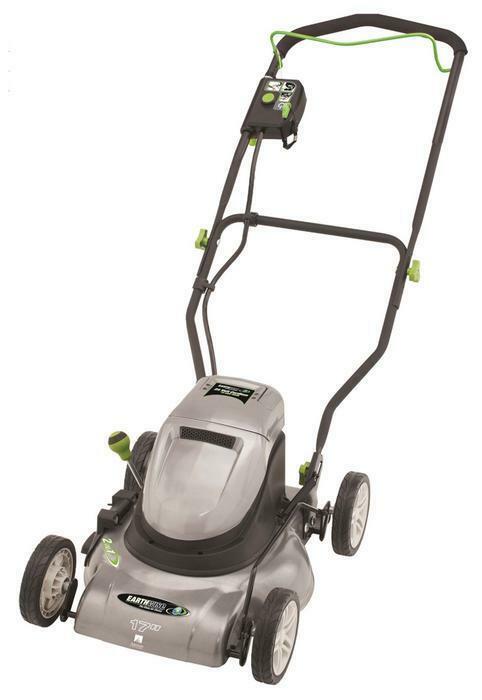 The Great States Corporation of Shelbyville, Ind., is recalling about 1,200 cordless 17-inch electric lawn mowers. 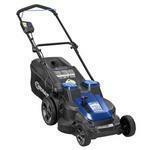 This recall involves Earthwise cordless electric push lawn mowers with a 17-inch mowing deck. The recalled mowers have a silver motor housing and deck with a side discharge chute, a black foldable handle and a bright green bail lever, height adjustment lever and handle knobs. The mowers have a 24-volt removable, rechargeable battery. Brand name “Earthwise” and “17” appear on the front of the mowers. Model number 60517 is on the name plate on the back of the motor cover. 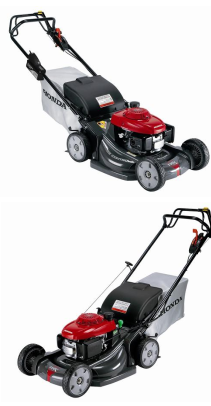 The mowers, manufactured in China, were sold at Menards stores, Seventh Avenue catalogs and online at PowerSales.com and SeventhAvenue.com from January 2014, to May 2014, for about $250. Consumers may contact Great States Corporation at (800) 633-1501 between 8 a.m. and 4 p.m. ET Monday through Friday, or by email at sales@reelin.com. Husqvarna Consumer Outdoor Products of Charlotte, N.C., is recalling about 24,000 lawn and garden tillers. 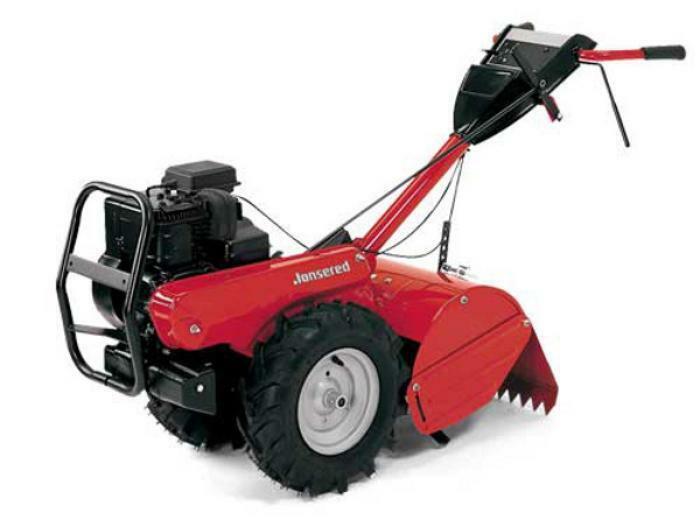 This recall involves Ariens, Husqvarna, Jonsered and Poulan Pro brand rear tine tillers used for plowing, cultivation and ridging gardens and lawns. The tillers have an engine to power the wheels and the rear tines, an operator handle with forward and reverse transmission and tilling widths ranging from 17 to 19 inches. The tillers, manufactured in the U.S., were sold at hardware stores, home centers and independent outdoor power equipment dealers from October 2014, through May 2015, for between $600 and $850. Consumers may contact Husqvarna toll free at (877) 257-6921 from 8 a.m. to 6 p.m. (ET) Monday through Friday, or by email at recalls@husqvarna.com. Briggs & Stratton of Wauwatosa, Wis., is recalling about 2,800 Simplicity riding mowers, garden tractors and mower decks. The chute deflector can fail to prevent projectiles from being expelled, posing a risk of injury to consumers. This recall involves orange Simplicity brand zero turn riding mowers, mower deck attachments and garden tractors. Mower deck sizes range from 44 to 54 inches. The Simplicity logo is on the side of the mower or garden tractor. The model and serial numbers are located on the frame near the front tires or on the frame rail below the seat. The lawn equipment, manufactured in the U.S., was sold at Briggs & Stratton dealers nationwide from August 2014, through May 2015, for between $3,600 and $16,000. Consumers should stop using the recalled products immediately and contact a Briggs & Stratton dealer to schedule a free repair. Consumers may contact Briggs & Stratton at (800) 227-3798 between 8 a.m. and 5 p.m. (CT) Monday through Friday. Deere & Company of Moline, Ill., is recalling about 2,070 John Deere lawn tractors. The brake arm can fail, posing a crash hazard that could result in serious injury or death. This recall involves John Deere models D110, D125, D130, D140, D155, D160 and D170 lawn tractors with serial numbers beginning with 1GXD. The model number is printed on the bottom left and right of the hood in yellow. The brand name is printed on top left and right of the hood in black. The serial number is located on the on the left side of tractor, under the fender, above the left rear tire. The tractors, manufactured in the U.S., were sold at Home Depot, Lowe’s and other John Deere dealers nationwide from May 2015, through August 2015, for between $1,700 and $2,700. Consumers may contact Deere & Company at (800) 537-8233 from 8 am – 6 pm (ET) Monday through Friday and Saturday from 9 a.m. to 3 p.m. ET or online at www.deere.com and select Product Recall Information on the drop-down menu under Services & Support for more information. 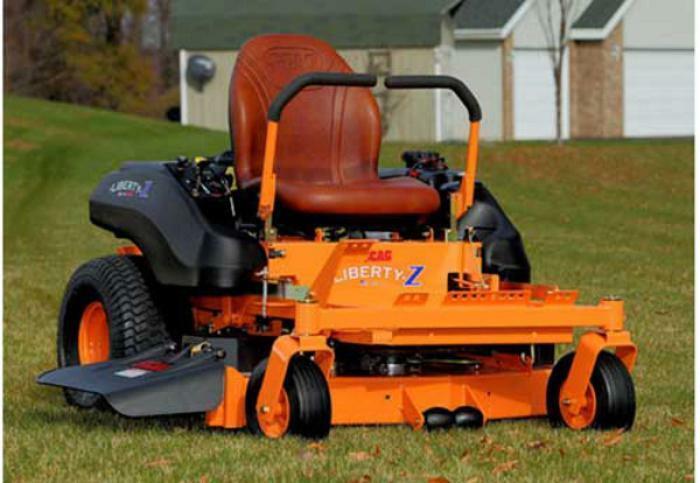 Scag Power Equipment, a division of Metalcraft of Maryville, of Maryville, Wisc., is recalling about 4,400 Scag Liberty-Z zero-turn lawn mowers. The company has received five reports of gas tank leaks on the mowers. No injuries have been reported. This recall involves two Scag Liberty-Z zero-turn lawn mowers: model SZL48-22KT with serial numbers K7100001 through K7102353 and model SZL52-24KT with serial numbers K7200001 through K7202020. The model and serial numbers are printed on a vertical plate under the mower’s seat. “Scag” in red letters, “Liberty Z” in white letters and a blue “Z” are printed on a plate below the front of the seat. The mowers have an orange base with two orange and black steering handles. The mowers also have two large black with orange rim wheels in the back of the mower and two smaller black with orange rim wheels in the front of the mower. The mowers, manufactured in the U.S., were sold at Scag Power Equipment authorized dealers nationwide from October 2014, through May 2015, for about $4,500. Consumers should immediately stop using these recalled lawn mowers and contact Scag Power Equipment or an authorized dealer for a free repair. Scag Power Equipment authorized dealers have contacted all known owners. Consumers may contact Scag Power Equipment toll-free at 844-491-4859 from 8 a.m. to 4:30 p.m. CT Monday through Friday or online at www.scag.com. 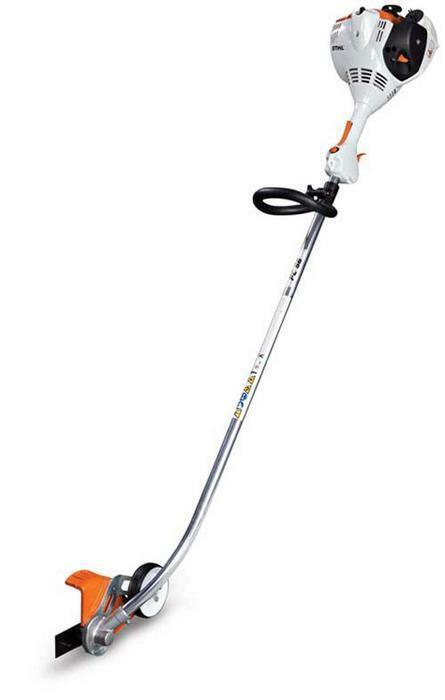 STIHL Inc., of Virginia Beach, Va., is recalling about 156,000 gas-powered edgers, trimmer/brushcutters, pole pruners and KombiMotors in the U.S. and Canada. The company has received 319 reports of the fuel tank vents coming loose and fuel leaking. No fires or injuries have been reported. This recall involves STIHL edgers with model number FC 56 C, trimmer/brushcutters with model numbers FS 40 C, FS 50 C, FS 56 C and FS 56 RC, pole pruners with model number HT 56 C and KombiMotors with model number KM 56 RC. The model number is located on the starter cover at the rear of the engine. The engine size is about 28 cc. The products are gray and orange with “STIHL” on the engine cover. The serial number range for all of the recalled units is 501830112 through 504083576. The serial number is located on the label on the bottom of the engine. The equipment, manufactured in the U.S., was sold at authorized STIHL dealers nationwide from November 2014, through September 2015, for between $200 and $400. Consumers may contact STIHL at 800-610-6677 between 8 a.m. and 8 p.m. (ET) Monday through Friday, by email at stihlrecall@stihl.us or online at http://www.stihlusa.com/information/recalls/gasoline-tank-vent/. Exmark Manufacturing of Beatrice, Neb., is recalling about 500 2015 Quest riding mowers in the U.S. and Canada. The firm has reported one incident of fuel leaking. No injuries have been reported. The 2015 Quest riding mowers are red, black and gray. “Exmark” is printed on the sides and in front of the operator seat. “Quest” is printed on the front of the riding mowers. The model number and serial number are located on a decal affixed to the frame, under the seat. The recalled mode number is QTS452CEM34200. Quest mower has serial numbers ranging from 315606482 to 315628458. The mowers, manufactured in the U.S., were sold at hardware, lawn and garden stores nationwide from November 2014, through October 2015, for about $3,700. Consumers should immediately stop using the recalled mowers and contact an Exmark dealer to schedule a free repair. Consumers with registered mowers will receive a letter and a fuel filter, and may contact an Exmark Dealer if they are uncomfortable with the replacement procedure. Consumers may contact Exmark toll-free at 800-667-5296 from 8 a.m. to 5 p.m. (CT) Monday through Friday or online at http://www.exmark.com/Service-And-Support/Recalls/ for more information. Country Home Products of Vergennes, Vt., is recalling about 830 field & brush mowers. 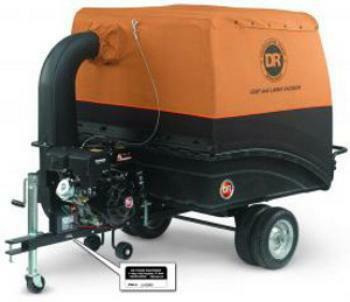 This recall involves the Pro-XL-44 model of the DR brand tow-behind field and brush mower manufactured by Country Home Products. The mowers are towed behind a riding mower or ATV to clear acres of thick grass and brush. The recalled mowers have an electric start 20 HP Briggs & Stratton engine and a serial number between TB21001001 – TB21002555. 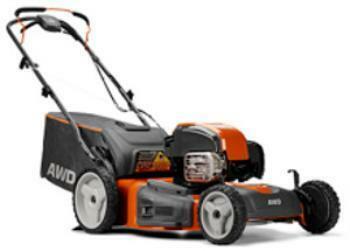 The recalled mowers are black and orange and have two blades and four wheels and are 44 inches wide. There is a large label below the machine’s fuel tank that with “DR Field and Brush Mower” printed on it and a round DR logo is in the right hand corner. The serial number is printed on the rear right corner of the frame near the engine control panel. The mowers, manufactured in the U.S., were sold at Country Home Products catalog, website and authorized independent DR dealers nationwide from October 2015, through July 2016, for about $3,600. Consumers may contact Country Home Products toll-free at 877-271-5677 from 8 a.m. to 7 p.m. (ET) Monday through Friday, by email at tbmrecall@chp.com or online at www.DRPower.com and click on “Product Recalls” at the bottom of the page for more information. Bush Hog of Selma, Ala., is recalling about 500 Bush Hog HDE riding lawn mowers. Cub Cadet of Cleveland, Ohio, is recalling about 5,200 Cub Cadet RZT SX EFI zero-turn riding mowers sold in the U.S and Canada. The company has received 15 reports of the fuel tank’s neck cracking. No injuries have been reported. 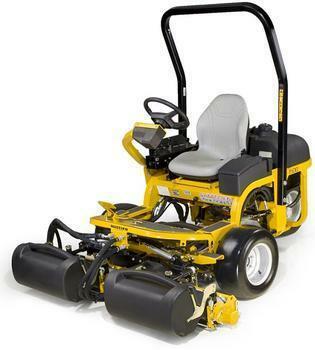 This recall involves Cub Cadet model year 2018 RZT SX EFI residential zero turn riding mowers. The U.S. Consumer Products Safety Commission (CPSC) has sued Lawn Dart Parts, demanding that it stop selling its products in stores and on the Internet. The suit, filed in federal district court in St.. Louis, notes that lawn darts are banned by federal law because of the dangers they pose to children and seeks an injunction banning further sales by the company. Lawn Darts Parts LLC is a Pevely, MO, company owned by Steve King and, according to the lawsuit, operates several websites, including www.lawndartparts.com, www.tossinggames.com, www.stevenking.biz, and www.missourimarketplace.net/jartparts. Lawn darts are a hazardous substance under the Federal Hazardous Substances Act because they pose an “unreasonable risk of injury to children” and, as such, their sale is prohibited by the Consumer Product Safety Act, the complaint alleges. 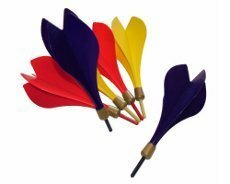 The lawn darts, which are simple darts with elonated tips, are designed so that when they are thrown into the air, they contact the ground tip-first. They have been banned since at least 1970; in 1988, the CPSC removed an exemption that had allowed the sale of lawn darts which were labeled for use by adults only. The CPSC said it became aware of King's operation in February 2009 when an investigator visited two of his websites. Posing as a customer, the investigator ordered a set of lawn darts for $100 via email and was contacted by someone identified as “Steve,” who instructed the investigator to pay via PayPal. The lawn darts were sent and arrived at the Michigan address used by the investigator on March 20, 2009. The package included four lawn darts, four plastic rings and six plastic fins. The items were packaged in what appeared to be original product packaging and stated "Regent Jarts . . . An Outdoor Skill Game for Adults." The investigator then ordered an additional set of lawn darts for $218. The package arrived on November 15, 2009. The package included four metal shafts, two plastic red fins, two plastic blue fins, and two plastic yellow rings. Also delivered is what appears to be original product packaging stating “Jarts Missle Game. The Most Exciting Outdoor Game Today. Jarts Company, Fort Edward, New York.” Finally, the package included a business card for the web site “www.TossingGames.com” with the name “Mr. Steve King, Owner and Webmaster” printed on it. 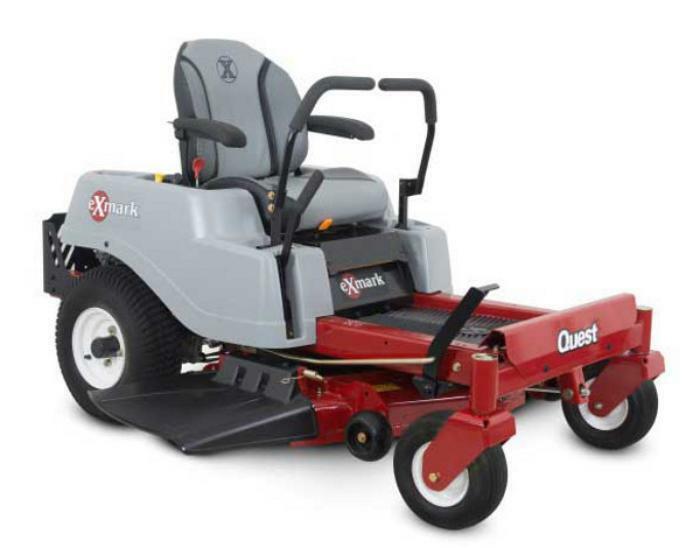 Exmark is recalling about 2,200 Quest 42” ZRT Riding Mowers. Bearings supporting the riding mower’s deck can fail and cause the deck to interfere with the operator’s controls, resulting in a crash hazard. 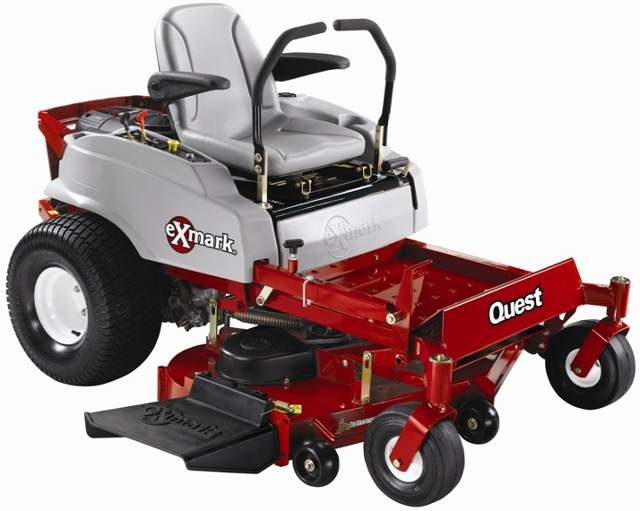 This recall involves 2009-2010 Exmark Quest ZRT riding mowers with 42-inch mower decks, model number “QST20BE422” and serial numbers ranging from 790,000 through 860,652. The model and serial numbers are on a metal plate behind the seat. “Exmark” is printed on the side and “Quest” is printed on the front of the mowers. The mowers are red and gray. The mowers were sold by Exmark dealers nationwide from March 2009 through April 2010 for between $4,200 and $4,400. They were made in the United States. As the warm summer sun fades into the cooler days of fall, lawns and their caretakers -- that's you -- will face the chore of getting ready for winter and, not too long after that, preparing for spring. In much of the country, lawn care is almost a year-round task, which puts a strain not only on the homeowner but also the lawn mowers and other tools essential to maintaining a healthy and attractive lawn. Here are a few tips and suggestions to help keep everything -- your back included -- in working order. The most important step in insuring the longevity of your walk-behind mower is to store it in a dry place. Bori Kim, an employee of Park Oaks Mower Service in Thousand Oaks, CA, insists, 9 out 10 complaints I receive are from moisture build up within the carburetor or gasoline tank. High moisture levels will plug up the mower, requiring a trip to the shop to get things running again. In order to save an unnecessary repair bill, Bori suggests a simple fix -- store the mower and gas in a dry area and there shouldnt be any problems. Albert Garcia, an employee of Home Depot in Camarillo, CA, offers a few tips for the maintenance of your walk-behind mowers blades. He suggests using a broom to brush down the blades after use in order to minimize rust build up as well as wear and tear. Albert also recommends periodically checking the mower blade and bolts for any abnormalities. If the mower looks asymmetrical or unbalanced, its a good idea to take it in for either a sharpening or even a repair if necessary. The air filter in your lawn mower should be serviced regularly. Saedi, an employee of the Do-It Center in Agoura Hills, CA, recommends that, with casual usage, cleaning the air filter every three months is necessary for keeping the mower engine running properly. Another tip: cleaning the mower body after use can reduce the intake of debris into the air filter. Park Oaks Mower Service advises draining and replacing the engine oil every three months. An easy way to time this is at the beginning of each season, or at the same time you service your air filter. Spark plugs should be replaced after every 100 or so hours of operation, according to Bori Kim. Ask your local lawn mower service center for help with your particular model or consult the instructions that came with it if you are unsure how to do this. Changing the wheels on your particular brand of mower may not be an option, but Albert explains that he receives less complaints regarding mowers with bigger wheels, which keep the mower body higher off the ground and farther from debris. Make sure you are using the correct type of fuel if you have a gas-powered lawn mower. Do not put two-cycle gas into a four-cycle engine for example, or the gas may ruin the spark plug. Home Depot sells a range of maintenance kits that include air filters and spark plugs, enabling lawn mower owners to do virtually all the general upkeep required to keep their mower running in top shape for years to come. Albert suggests a lawn mower repair kit to all his customers. Park Oaks Mower Services recommends the Honda line. The mowers are well-designed, reliable, and user-friendly. Furthermore, Bori insists he sees the least amount of Honda mowers in for repair. 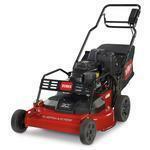 Fall is a good time to buy a new mower because most stores are moving them out to make way for winter merchandise. But, whatever the time of year, its important to consider a few extra factors that may affect longevity before buying a new lawn mower. In terms of scale, a walk-behind lawn mower can, according to Park Oaks Mower Services, comfortably service around an acre of land. If you have a 2 or 3-acre parcel, it may be a better choice to purchase a ride-on mower, otherwise it could be physically taxing to both you and your mower. Remotely started mowers are becoming increasingly popular, but the added complexity means more difficult repairs. Albert Garcia praises the novelty of the new technology, but insists, remote starters are still relatively new, and it may be a safer bet to stick with pull or button starts until they work out all the kinks. This is a matter of both personal choice and, if using a corded electric, property layout. Gas powered mowers are more powerful and portable, but significantly louder to use and more expensive to maintain, Saedi explains. He believes that electric mowers may be more appropriate for a residential user with easy access to an electrical outlet, while gas is reserved for larger or commercial-scale mowing. The Environmental Protection Agency has finalized a new emission control program that will effect lawn mowers and weed-whackers. This new law will come into effect next year, potentially impacting the brand lines. If you are in a particularly wet or humid area, purchasing a protection plan on your mower may be a good way to ensure your lawn stays groomed for years to come. Home Depot offers a plan on all of its lawn mower product lines. As a general guideline, the same rules apply to maintaining your weed-whacker as your mower, minus blade maintenance. One quick tip: Albert Garcia recommends making sure you are aware of how to rewind the line before you purchase a new weed-whacker. JT affirms the best way to make your ride-on mower last is to follow the maintenance guidelines. From his experiences, the number one cause of failures is from poor oil and air filter maintenance. He suggests checking the air filter and fluid levels more rather than less to insure the best possible performance out of your machine. Cal Coast Machinery deals with John Deere tractors and mowers, and JT recommends only using the companys parts on John Deere mowers. His mantra regarding repairs is quality over the cheapest stuff out there. Using the recommended fuel grade will keep you mower running as smoothly as possible. The idlers on the mower deck are greasable, explains JT. Keeping those bearings well greased is an important step for giving your mower a longer life span. Any sealed bearings on the mower do not need to be greased, and should have a ten or more year lifespan. Ensuring an even cut is essential for any lawn mower. In order to maintain an even level for the mower deck, manual adjustments will occasionally be required. JT explains, the deck should remain level as long as you dont hit anything significant, like a curb for example. If you do need to change the mower deck level, there are (on the John Deere models) threaded rods on each side which allow for easy adjustment. JT recommends John Deeres X series. The X series is a commercial/residential line that is geared slightly more towards the commercial end. It features thicker steel and a more solid front axel than the LA (formerly L) line, as well as the Kawasaki engine. This added comfort and convenience starts at around $4,000 compared to the LA lines $2400, but JT thinks the price is well worth it. These tips should help keep your mower running in top shape for years to come, meaning your lawn will be looking its best no matter what Nature throws its way. But be forewarned -- not everyone shares JT's high evaluation of John Deere equipment. "We bought our first (and last) Deere 4 years ago. We mow once a week during the summer and have logged 175 hours on the 1700 machine. The transmission is shot. Upon internet investigation, this seems to be a common and costly problem. What a disappointment," said Bob of St. Charles, Mo., one of more than 300 John Deere owners who've submitted complaints to ConsumerAffairs.com. Nearly every other brand gets the same -- or worse -- treatment, though Honda comes out better than most. START MORE ABOUT BOXEND MORE ABOUT BOXSTORY STARTS HEREAs the warm summer sun fades into the cooler days of fall, lawns and their caretakers -- that's you -- will face the chore of getting ready for winter and, not too long after that, preparing for spring. John Deere is conducting two recalls of various lawn tractor models. The company is recalling about 5,200 D100 lawn tractors. Hardware used to hold the brake assembly to the transmission housing can break. This can cause the brakes to fail, posing an injury hazard due to loss of control. 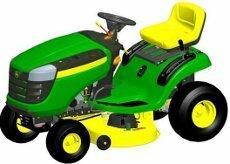 The recalled lawn tractors are green with yellow seats and mower decks. 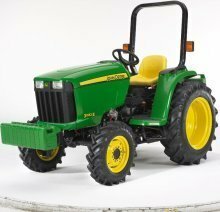 Model D100 tractors are included in this recall. The model number is located on both sides of the tractor’s hood. Tractors with the serial numbers below are included in this recall. Serial numbers are located under the right rear fender. John Deere dealers, Lowe’s, and Home Depot stores sold the tractors nationwide, except California, from October 2010 through September 2011 for about $1,500. They were made in the U.S.
Consumers should immediately stop using the recalled lawn tractors and contact the company for a free hardware inspection and repair. The company is also recalling about 15,500 tractors because the hardware used to hold the mower blade brake assemblies on the mower decks can break. This can cause the mower blades to spin longer than normal after the operator turns off the power, posing a laceration hazard. 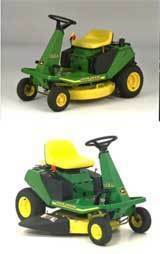 The recalled lawn tractors are green, with yellow seats and mower decks. 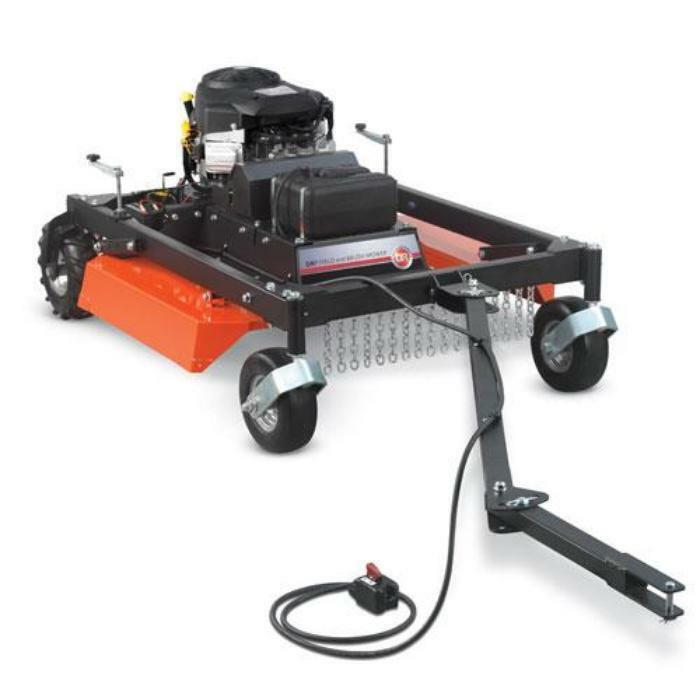 Model numbers D100, D110, D120, and D130, all with a 42-inch Edge™ Cutting System mower deck, are included in this recall. The model number is located on both sides of the tractor’s hood. 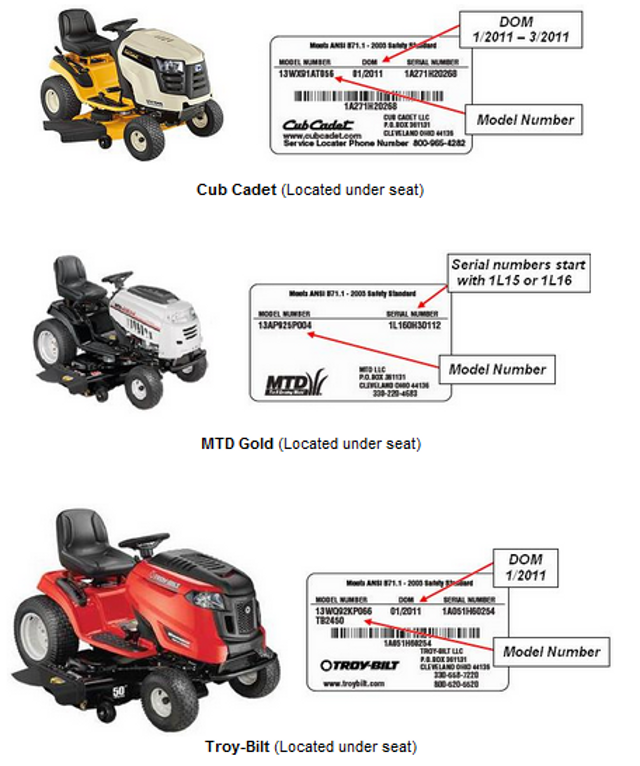 Lawn tractors with the serial numbers listed below are included in the recall. The serial number is located under the right rear fender. John Deere dealers, Lowe’s, and Home Depot stores sold the tractors nationwide from December 2010 through September 2011 for between $1,500 and $2,000. About 2,700 lawn tractors are being recalled. A drive gear in the lawn tractor's hydrostatic transaxle can fail causing brake failure, posing a crash hazard to consumers. This recall involves Cub Cadet, MTD Gold and Troy-Bilt lawn tractors sold with Hydro-Gear model 618-0319 and 618-04270B transaxles. Cub Cadet and Troy-Bilt tractors included in this recall have dates of manufacture (DOM) ranging from December 2010 through March 2011. The DOM can be found on a label on the underside of the seat. MTD Gold can be identified by serial numbers starting with 1L15 or 1L16. Affected transaxles have serial numbers with the first four digits ranging between 0333 and 0348. Transaxle model and serial numbers are printed on a label on the transaxle. Lawn and garden retailers sold the tractors nationwide from January 2011 through January 2012 for about between $1,900 and $2,800. They were made in the U.S.
Consumers should immediately stop using the recalled lawn tractors and contact the firm for instructions on obtaining a repair from an authorized service provider. John Deere is recalling about X300, X300R and X304 series tractors. The cooling fan (A) installed on top of the front mounted Kawasaki engine in the lawn tractor can break. If the cooling fan is not operational, the engine can overheat causing the surrounding plastic to melt, creating the risk of fire and serious injury. There have been 163 reported failures, including 83 reports of engine melting or engine fires and one report of a minor burn injury following a fan failure fire. This recall involves John Deere X300, X300R and X304 Select Series™ Lawn Tractors with Kawasaki FS541V engines manufactured between September 20, 2010 and July 21, 2011 within the following serial number ranges listed below. The model number is on both sides of the tractor hood, and the serial number can be found on the machine frame near the front right tire. John Deere dealers sold the lawn tractors in the U.S. from September 2010 to August 2011 for between about $3,000 and $4,000. They were made in the United States. Customers should stop using the mowers immediately and contact a John Deere dealer to make arrangements to have the engine cooling fan replaced. All registered owners of the recalled mowers will be directly notified by John Deere. April 9, 2004 John Deere & Co. is recalling about 300 compact utility tractors to fix a problem in the roll cage. Exmark is recalling the Lazer Z EFI zero turn radius riding lawn mowers. A hole can develop in the fuel line, resulting in a leak that could present a fire hazard. Authorized Exmark dealers sold these riding lawn mowers nationwide from July 2003 to September 2004. Consumers should stop using these Exmark riding mowers and contact their local Authorized Exmark Service Dealer to schedule a time to install a free replacement fuel line. For more information, contact Exmark at (800) 479-8379 between 8 a.m. and 5 p.m. CT Monday through Friday. Consumers can also visit the firm's web site at www.Exmark.com. December 6, 2004 Exmark is recalling the Lazer Z EFI zero turn radius riding lawn mowers. A hole can develop in the fuel line, resulting in a leak that could present a fire hazard. 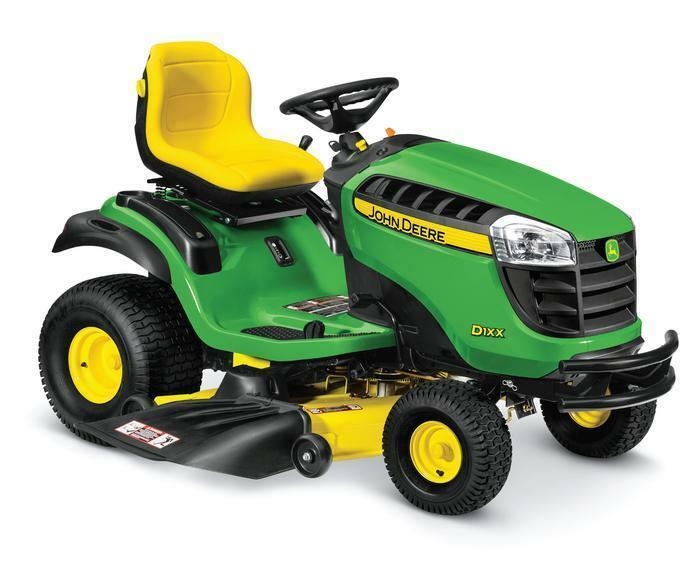 John Deere & Co. is recalling about 4,400 GX85 and SX85 riding lawn mowers. The fuel tanks can crack and leak fuel presenting a potential for fire or burn injuries. John Deere is aware of 37 instances of replacement of the fuel tank under warranty. There have been no reports of fires, injuries or property damage. The mowers were sold by authorized John Deere dealers in the United States and Canada from November 2003 through July 2003 for between $2,000 and $2,400. The company is directly notifying those consumers who purchased affected mowers. . Consumers should stop using their tractors immediately and contact a John Deere dealer for a free repair. Consumer Contact: For more information, contact John Deeres Customer Communications Center at (800) 537-8233 between 8:00 a.m. and 6:00 p.m. ET, Monday through Friday and 9:00 a.m. and 3:00 p.m. ET Saturday or at the John Deere web site at www.johndeere.com. November 24, 2004 John Deere & Co. is recalling about 4,400 GX85 and SX85 riding lawn mowers. The fuel tanks can crack and leak fuel presenting a potential for fire or burn injuries. About 5,000 Husqvarna Lawn Tractors are being recalled. The tractors can develop abrasions on the fuel tank because of the fuel line clamps location, possibly resulting in a fuel tank leak, which could pose a fire hazard. Husqvarna has received four reports of fuel tanks leaking. There have been no reports of fire or property damage. These Husqvarna 18.5 horsepower, hydrostatic transmission, 42-inch cutting deck, lawn tractors are gasoline-powered and are designed for residential use. The recall involves models LTH18542A and LTH18542B and includes all serial numbers. The model plate with the model number information is found under the seat. The tractors were sold at Husqvarna dealers and distributors nationwide from November 2003 through July 2004 for about $1,500. Consumers who have one of the recalled lawn tractors should contact an authorized Husqvarna service provider in your area, which will provide a free repair. December 6, 2004 About 5,000 Husqvarna Lawn Tractors are being recalled. The tractors can develop abrasions on the fuel tank because of the fuel line clamps location, possibly resulting in a fuel tank leak, which could pose a fire hazard. Scag Power Equipment is recalling about 16,000 Tiger Cub Lawn Tractors. Fuel can leak out of the carburetor, posing a risk of fire and burn injuries. Scag is aware of 20 incidents, all of which involved fires and damage to tractors. Two consumers received minor burn injuries to their hands as a result of trying to put out the fires. The recalled zero-turn-radius riding lawn tractors are Cats Eye Gold with black trim, and have a vinyl seat. The body of the tractor has Scag Tiger Cub written in red on the side and front of the tractor. The following model and serial numbers can be found under the seat, next to the hydraulic pump on the right hand side. Authorized Scag Power equipment dealers nationwide sold the tractors from November 1999 through July 2003 for between $5,000 and $8,000. Consumers should stop using these tractors immediately and contact a Scag Equipment dealer for a free repair. The company is directly notifying those consumers who completed and returned warranty cards. Consumer Contact: For information on locating a dealer near you, contact Scag Equipment Customer Service toll-free at (866) 821-9208 between 8 a.m. and 7 p.m. ET, Monday through Friday and 9 a.m. and 5:30 p.m. ET Saturday. December 6, 2004 Scag Power Equipment is recalling about 16,000 Tiger Cub Lawn Tractors. Fuel can leak out of the carburetor, posing a risk of fire and burn injuries. Murray Inc. is recalling nearly 100,000 Murray lawn tractors with remote-mounted fuel tanks The fuel tank can develop cracks allowing fuel to leak, posing a fire hazard. The units were sold at lawn equipment retailers, including Home Depot, Central Tractor and the U.S. Army Air Force Exchange Services (AAFES) nationwide from January 1997 through October 2002 for between $859 and $1,259. Consumers should stop using their lawn tractor immediately and contact a Murray Service Center with the model number to have a free replacement fuel tank installed on their mower. For more information, consumers should call Murray or visit their Web site at www.murray.com. March 23, 2004 Murray Inc. is recalling nearly 100,000 Murray lawn tractors with remote-mounted fuel tanks The fuel tank can develop cracks allowing fuel to leak, posing a fire hazard. About 6,000 riding mowers sold under the Massey Ferguson, Simplicity and AGCO brand names are being recalled because of a problem with the automatic shut-off. A safety switch under the seat of these lawn tractors and riding mowers is designed to stop the mower blade within 5 seconds of the operator leaving the tractor seat. The recalled mowers blades can continue to turn longer than 5 seconds after the operator leaves the seat, posing a laceration and amputation hazard. The mowers were sold at independent lawn mower dealers nationwide from June 2003 through May 2004 for between $2,000 and $3,750. Consumers should contact the dealership where the lawn tractor or riding mower was purchased to have a free replacement seat safety switch installed. Consumer Contact: Call Simplicity at (800) 357-8244 between 9 a.m. and 5 p.m. ET Monday through Friday visit the firms Web site at www.simplicitymfg.com, or write to Simplicity Manufacturing, 500 N. Spring Street, Port Washington, WI 53074. June 20, 2004 About 6,000 riding mowers sold under the Massey Ferguson, Simplicity and AGCO brand names are being recalled because of a problem with the automatic shut-off. Kyodo America is recalling about 500 LawnBott lawn mowers. The cutting blades continue to rotate when the mower is lifted from the ground and the spacing on the side of the lawn mower could allow room for a consumer's foot to go beyond the shield and be struck by the blade. Both instances pose a serious laceration hazard to consumers. Kyodo America has received one report of a consumer lifting the mower from the ground and suffering minor lacerations from the moving blade. This recall involves LawnBott lawn mowers with model numbers LB2000, LB2100, LB3000, and LB3200. The robotic lawn mowers freely and automatically cut grass by detecting the signal of a perimeter cable. The mowers have a docking station for recharging and a shiny plastic cover sold in red, green or blue. 'Evolution' or 'deluxe' is printed on the side of the mower. The mowers were sold by Kyodo America dealers nationwide from January 2006 through December 2007 for between $1,750 and $2,750. They were made in Italy. Consumers should stop using the recalled LawnBott lawn mowers immediately and contact Kyodo America to register their lawn mowers for repairs that will be ready by the end of June. Consumers who have registered their mower with Kyodo America have been sent direct notification by mail. For more information, contact Kyodo America at (877) 465-9636 between 8 a.m. and 4:30 p.m. CT Monday through Friday, or visit the firm's Web site at www.lawnbott.com. 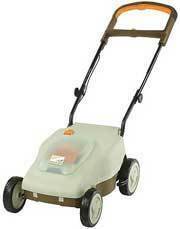 April 25, 2008 Kyodo America is recalling about 500 LawnBott lawn mowers. The cutting blades continue to rotate when the mower is lifted from the ground and the spacing on the side of the lawn mower could allow room for a consumer's foot to go beyond the shield and be struck by the blade. Both instances pose a serious laceration hazard to consumers. John Deere is recalling the Gator XUV 620i Utility Vehicle. The fuel tank can leak from a gap in the seam at the base of the filler neck, posing a fire hazard. Deere & Company has received seven reports of fuel tank leaks. No fires or injuries have been reported. The recalled utility vehicle is Model 620i. The model number is painted on the side of the vehicle. The recall includes the following serial numbers. The serial number plate is on the vehicles frame in front of the passenger side rear fender. The Gators, made in the United States, were sold by John Deere dealers nationwide from April 2008 through August 2008 for about $10,000. Consumers should stop using the recalled utility vehicles immediately and contact any John Deere dealer to schedule a free inspection and repair. Keep fuel tank below half full until the repair is made. Registered owners were sent direct mail notification of this recall. September 17, 2008 John Deere is recalling the Gator XUV 620i Utility Vehicle. November 8, 2007 American Honda Motor Corp. is recalling about 22,000 lawn mowers because of a fire hazard. Country Home Products is recalling about 15,700 of its 2005 Model NEUTON cordless electric lawnmowers because of a problem with the automatic shutoff. When the handlebar is released on the recalled lawnmowers, the motor could continue to run, which causes the blade to continue to spin. In addition, there is excessive heat build up in the wire coil inside the housing and also in the safety key. Country Home Products, Inc. has received nine total reports of incidents in which the mower and blade did not turn off when the handle was released, causing excessive heat built up in the internal wire brake coil and safety key. No injuries or property damage have been reported. The recalled lawnmowers were sold under the NEUTON name and carry model number EM 4 1 NEUTON printed on the front portion of the lawnmower. The lawnmowers are two shades of green and have a 14-inch cutting width with rear bagging capability. 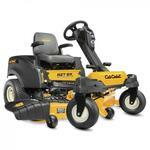 The serial number ranges of the recalled mowers are CE04049212 through CE04054902 and CE04061492 through CE04071541. The serial number can be found by lifting the rear discharge guard of the mower. It is on a sticker on the lower left side of the mower housing. The units were sold by mail orders, Web sites, and by gas-lawnmower exchange programs and through a small number of outdoor power equipment dealerships nationwide from February 2005 through June 2005 for about $400. NOTE: Not all mowers shipped during this time period are included in the recall. Only mowers within the specified serial number range are included. Country Home Products, Inc. is sending all registered owners instructions on how to perform the free repair on these mowers. Consumer Contact: For more information, contact Country Home Products, Inc. toll-free at (888) 294-5029, between 8 a.m. and 7 p.m. ET Monday through Friday, and between 8:30 a.m. and 5 p.m. ET on Saturdays. Consumers also can view and download instructions from NEUTON Mower Equipments Web site at www.CEM-TechAlert.com. January 23, 2006 Country Home Products is recalling about 15,700 of its 2005 Model NEUTON cordless electric lawnmowers because of a problem with the automatic shutoff. WASHINGTON, Sept. 19, 2002 -- Black & Decker is voluntarily recalling to repair about 140,000 cordless electric lawn mowers. An electrical component in the lawn mower can overheat, posing a possible fire hazard. Black & Decker has received 11 reports of electrical components overheating. One of these resulted in a minor hand burn and nine resulted in reports of minor property damage extending beyond the mower. The mowers were sold under both the Black & Decker and Craftsman brand names. The recalled Black & Decker cordless electric lawn mowers have the model number CMM1000 or CMM1000R and date codes from 9534 through 200230, both of which are located on the silver and black label affixed to the rear door of the mower. The lawn mowers have either an orange or green deck cover with a black motor cover. The lawn mowers have the words "Black & Decker" and "Cordless" on top of the motor cover. The Craftsman-brand mowers, which were sold at Sears, have model number 900.370520 and include all date codes. The model number is located on the silver and black label affixed to the rear door of the mower. The Sears lawn mowers have a dark green deck with a black motor cover. The lawn mowers have the words "Craftsman" and "24 Volt Cordless" on top of the motor cover. Home centers, hardware and discount stores nationwide sold the Black & Decker lawn mowers from February 1996 through August 2002 for between $360 and $400. Craftsman-brand mowers were sold at Sears stores nationwide from January 1998 through December 2000 for between $360 and $400. Consumers with either brand recalled lawn mower should stop using it immediately. Black & Decker mower owners should call Black & Decker toll-free at (866) 229-5570 between 8 a.m. and 4:30 p.m. ET Monday through Friday, or log onto the company's web site at www.blackanddecker.com to receive information on the free repair. Craftsman mower owners should take their mower to the nearest Sears store or Sears product repair center for a free repair. Black & Decker recalled 1,300 cordless electric mowers with model number CMM1000R on January 23, 2002. For more information about that recall, contact Black & Decker at the toll-free number listed above. The recall is being conducted in cooperation with the U.S. Consumer Product Safety Commission (CPSC). Husqvarna is recalling the Royal 53S or ROY53INTEK walk-behind lawn mower models with serial numbers between 24600001 to 31000205. A loose blade bolt could cause the blade to come loose or the blade adapter to crack, resulting in the blade falling off. Should this condition occur, the operator or a bystander could be injured. Husqvarna has received 15 reports of blades coming off, 41 reports of loose blades and one report of a consumer being struck in the toe by a blade. The walk-behind lawn mowers are gas-powered and have an orange body with a black push-handle. They are capable of being operated with or without a bag attachment. The model number and serial number can be found on a decal mounted above the left rear wheel axle. The mowers were distributed by Husqvarna dealerships and Lowe's Home Improvement Centers from December 2002 through August 2003 for about $500. Contact Husqvarna technical support representatives to receive a free service kit including a new blade adapter, blade bolt, and associated hardware with a complimentary blade to be installed by a Husqvarna dealer. Husqvarna technical support representatives are available between 9 a.m. and 5 p.m. ET Monday through Friday at (800) 448-7543 Ext. 3. October 24, 2003 Husqvarna is recalling the Royal 53S or ROY53INTEK walk-behind lawn mower models with serial numbers between 24600001 to 31000205. WASHINGTON, Nov. 16, 2001 -- WCI Outdoor Products is recalling about 35,000 lawn tractors to replace their 2-gallon fuel tanks. The tank in the lawn tractor can crack and leak fuel, posing a fire hazard. John Deere is recalling compact utility tractors models 3032E and 3038E. An incorrectly sized differential was installed in the tractor transaxle affecting the engagement of the differential lock and causing the tractor to turn to the left when braking. This causes the vehicle to veer left when the brake is applied, posing a risk of collision. The tractors were sold by John Deere dealers nationwide from July 2009 through August 2009 for between $13,000 and $15,000. Consumers should stop using the recalled vehicles immediately and contact a John Deere dealer to schedule a free repair. John Deere tractor dealers were notified of this recall and registered owners of the recalled tractors will be directly contacted by the firm. September 30, 2009 John Deere is recalling compact utility tractors models 3032E and 3038E. An incorrectly sized differential was installed in the tractor transaxle affecting the engagement of the differential lock and causing the tractor to turn to the left when braking. This causes the vehicle to veer left when the brake is applied, posing a risk of collision. There are good things to be said about Spring -- birds, flowers, lack of ice. But on the other hand, there's the lawn, a constant irritant. There are basically two ways to care for your weed patch -- do it yourself or hire someone to do it. Both have their drawbacks. For the do-it-yourself crowd, the first essential is a lawn mower or for those with SUV aspirations, the garden tractor. You can get one of these at Sears. Or can you? Doris thought she had purchased a riding mower but the grass was as tall as an elephant's eye before Sears could be bothered to tell her otherwise.  Murrayself-propelled, push and riding mowers. Otherwise, no problem.  Sears Even an experienced professional like Sergio can't keep his walk-behind mower running. Nor can James, a lifelong handyman, afford to feed his Sears garden tractor the parts it needs.  MTD "I own an MTD piece of junk that could have killed me," says Billie of her graden tractor. That pretty much says it. Most people keep their lawn mowers, garden tractors and so forth in their garage or, sometimes, a shed. This is OK most of the time but gas-powered machines should be left outside on a paved surface until they cool off. As long as a gas engine is hot, there's the possibility it can start a fire. It may be a remote possibility, but it only takes one fire to make up for all the other times. Ask Patty. Whatever kind of mower you have, you will have to resuscitate the beast each spring. You can do this by changing the spark plug, cleaning the filters and changing the oil, if necessary. Or you can take it to a repair shop and have it done. It's not realistic to expect a mower to start on the first pull after it's been sitting in an unheated garage all winter. Be careful when mowing! Lawn mowers will take off hands and feet and can throw rocks and other debris with great force. Don't let children ride on your garden tractor with you and don't let them play nearby while you're mowing. Oh, one other thing ... be very careful not to hit tree stumps, large sticks, rocks or other solid objects. You will almost certainly bend the drive shaft, which is pretty much the end of your mower, regardless of manufacturer. We have plenty more safety tips. They're worth a look. What works? We asked the guys at the lawnmower repair shop the other day which brands were most reliable. Their reply: Honda, Lawn-Boy and Toro. 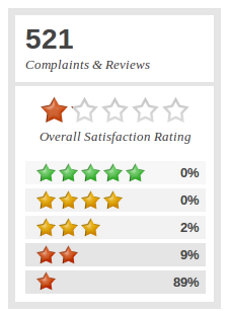 For what it's worth we have found no recent complaints of consequence for any of the three in our database. A class action lawsuit claims that lawn mower companies have clipped Texas consumers by overstating the horsepower of their engines. It seeks damages of $5 million, including refunds for affected consumers. The suit, filed in a Texas federal court, names Sears, Deer and Co., Tecumseh Products, Briggs and Stratton, Kawasaki Motors, MTD Products, Toro Company, American Honda Motor, Electrolux Home Products, Kohler Company, Platinum Equity, and Husqvarna Outdoor Products. The companies sell about six million mowers nationwide each year, according to court documents. It alleges that, since 1994, the companies misrepresented the horsepower of their lawn mowers and mower engines in an attempt to charge higher prices. "The more horsepower generated by a lawn mower's engine, the better and faster the lawn mower is able to perform," the suit charges. Horsepower labels allowed for a "fudge factor of up to 15 percent to be added," the complaint says. The plaintiffs — Gene Bennett, Clarence Laird and Laci Canion — argue that the misrepresentations allowed the defendants to market and sell identical engines as different products at different prices. According to the suit, the companies formed a group called the "Power Labeling Task Force," which the plaintiffs allege was used to "meet, discuss, conspire, conceal and further their fraudulent horsepower misrepresentations." The suit also charges that the task force created a misleading disclaimer titled "Understanding Horsepower" and placed it on the Outdoor Power Equipment Institute's Web site. The complaint argues that the disclaimer purposely misled the public and was an effort to conceal the fraudulent horsepower labeling practices. Plaintiffs charge that many other labeling methods were used to conceal the actual horsepower generated by the respective lawn mower's engine. These methods included the use of "gross" horsepower, which is the theoretical horsepower an engine could achieve under ideal laboratory conditions. Or the use of the "torque" on lawn mower engine's labels, despite that "engineers assert that torque is not an appropriate quantifier of power," the plaintiffs state. Looking for an excuse not to mow the lawn this summer? Try this: Each year, nearly 80,000 Americans require hospital treatment from injuries caused by lawn mowers, according to a study conducted by researchers at the Johns Hopkins Bloomberg School of Public Health. The researchers also concluded that the number of injuries from lawn mowers is increasing, with the majority of injuries occurring in children under age 15 and adults age 60 and older. The most common injuries were caused by strikes from debris, such as rocks and branches, propelled by the mower's spinning blades. The study, published in the April 2006 online edition of the Annals of Emergency Medicine, is the first to examine the extent and mechanisms of lawn mower injuries nationwide. "There is no reason anyone under 12 should ever be injured by a lawn mower," said David Bishai, MD, PhD, MPH, senior author of the study and associate professor in the Department of Population and Family Health Sciences at the Bloomberg School. "If we would keep the kids off the lawn when mowing and off the riding mowers we could greatly reduce the number of injuries each year." The American Academy of Pediatrics recommends that no one under age 16 should use a riding mower, and no one under age 12 should use a push mower. Bishai and co-author, Vanessa Costilla, analyzed data of mower-related injuries requiring hospitalization from the National Hospital Discharge Survey from 1996 to 2003 and the National Electronic Injury Surveillance System from 1996 to 2004. According to the results, more than 663,000 people were treated in U.S. emergency rooms for lawn mower injuries between 1996 and 2004. More than 80,000 people required hospital treatment for lawn mower injuries in 2004, which means about 2 out of every 1,000 injury-related emergency room visits is because of a lawn mower injury. The rate is about half the number treated for firearms injuries annually. In addition to strikes from flying projectiles, the most common causes of injury for people over age 15 were non-specific pain after mowing and injuries occurring while servicing the mower. The most common injury requiring hospitalization was fractures of the foot. Based on the study results, Bishai recommends some safety tips to follow to avoid lawn-mowing injuries. "These are machines with sharp blades spinning at 160 miles per hour just inches away from our feet and hands. Everyone needs to respect the dangers and use common sense," said Bishai. A Wisconsin family will mark a life-changing anniversary today. On July 11, 2009, two-year-old Brandon Rudie was severely injured after his father accidentally backed over him with a riding lawn mower. Today, after five facial surgeries, Brandon is an energetic three-year-old, but his recovery is ongoing. In an interview with WFRV TV-5 in Green Bay, Scott Rudie said he hopes his sons story will prevent other lawn mower accidents. No matter how safe you think you are or how careful you think you are accidents can happen, Rudie told WFRV. It can change your life in a heartbeat. Last year, 247,000 Americans were treated for lawn mower-related injuries more than 18,000 of them under age 19. According to the U.S. Consumer Product Safety Commission, these injuries have increased seven percent since 2008. Young children should not be allowed to operate lawn mowers, nor play around them, said Janet Jenkins, administrator of the Wisconsin Division of Trade and Consumer Protection. Lawn mower injuries are typically very serious, and can include deep cuts, loss of fingers and toes, eye injuries and even limb amputations.  Children should never be passengers on riding mowers.  Always wear sturdy shoes while mowing not sandals.  Young children should be at a safe distance from the area being mowed.  Pick up debris, yard tools and hoses from the lawn to prevent injuries from flying objects.  Dont use a lawnmower on hills unless you know how to do so properly.  Dont mow when the grass is wet and slippery.  Wear eye and hearing protection.  Use a mower with a control that stops it from moving forward if the handle is released.  Maintain your lawnmower so that it operates properly. July 11, 2010 A Wisconsin family will mark a life-changing anniversary today. On July 11, 2009, two-year-old Brandon Rudie was severely injured after his father accidentally backed over him with a riding lawn mower. Today, after five facial surgeries, Brandon is an energetic three-year-old, but his recovery is ongoing. If the grass-cutting season hasn't arrived yet where you are, you can be sure that it'll be there before long. That means shopping for a lawn mower, if you don't already have one, or replacing that workhorse you've been using for the last umpteen years. People seem to be taking that chore seriously. According to the J.D. 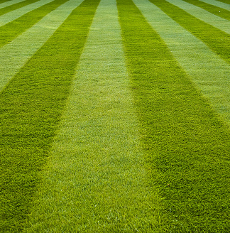 Power and Associates 2010 Walk-Behind Lawn Mower Study, a larger proportion of buyers are considering more than one lawn mower brand, compared with 2009. The study measures customer satisfaction with walk-behind lawn mowers by examining six key factors: durability; ease of use; maintenance; performance; price; and warranty. The study is designed to provide information that helps customers with purchase decisions, as well as to assist lawn mower manufacturers in their efforts to improve customer satisfaction and brand loyalty. Honda ranks highest in satisfying customers with walk-behind lawn mowers for a second consecutive year, achieving a score of 766 on a 1,000-point scale. Honda performs particularly well in three of six factors: ease of use, durability and performance. John Deere (760) and Toro (742) follow Honda in the ranking. Robert of Wesley Chapel, FL, bought a Honda, but isn't particularly happy with it. "I carried it in for broken throttle -- this was the second time I have had to carry it in for the same problem within eight months of purchase," he tells ConsumerAffairs.com. He says the manager of the store where he bought the mower told him he should have purchased extra warranty coverage. "I told her I didn't think I would need extra coverage on a $693.99 lawnmower -- especially in a eight month span of owning it." Michael of Audubon, PA, says he thought he was buying a Toro mower, but " you are not buying a Toro just the name.Toro had a great reputation and you get these companies buying just the name and well it is crap. The mower since the first week I got was trouble. The push handle would not lock in place so the handle would be useless and would not allow you to mow. I found out that TORO was made by Murray and Murray was made by MTD. You do not know this when you buy it,they just use the TORO name to sucker people in." The study also finds that this year, nearly 70 percent of walk-behind lawn mower owners say that they considered more than one brand while shopping, compared with 62 percent in 2009. In addition, since only approximately one-third of lawn mower shoppers selected the brand they wanted to purchase prior to visiting a retailer, there is ample opportunity for lawn mower manufacturers to influence decisions at the point of purchase. "Most walk-behind lawn mower shoppers go to a retailer without doing much research beforehand and primarily rely on in-store displays to educate themselves about the different brands and models available," said Christina Cooley, senior manager of the real estate and construction industries practice at J.D. Power and Associates. "Without spending much time up front investigating what lawn mower best meets their needs, the shopper is likely to base their decision mainly on price." The lifespan of a lawn mower averages between seven to 10 years, and consumers typically spend approximately $300 on their walk-behind mower, on average. Therefore, it pays to research several brands and models to determine the best lawn mower for your needs before making the investment. Without performing this research, the lawn mower may fall short of your expectations. In conducting your research, seek out the following: manufacturer and retailer websites; recommendations from friends and family; in-store product displays; and retail staff. Visit multiple retailers. Many lawn mower owners choose a store at which to shop first, and then select a lawn mower from the brands that are available there. Going to more than one retailer may present you with more options from which to choose. In addition, it's a good idea to look at lawn mower ads carefully to make sure the machine you think you're buying is the one you get. The 2010 Walk-Behind Lawn Mower Study is based on responses from more than 2,900 owners who purchased a new lawn mower within the past 24 months and who have used their lawn mower a minimum of four times. May 13, 2010 If the grass-cutting season hasn't arrived yet where you are, you can be sure that it'll be there before long. That means shopping for a lawn mower, if you don't already have one, or replacing that workhorse you've been using for the last umpteen years. With summer approaching and the school year coming to a close, thousands of kids across the country will take on a familiar chore -- mowing the lawn. Whether it's to help their parents mow the backyard or a summer job to earn money, this routine task can be dangerous for children and adults alike if proper safety precautions are not taken. In fact, more than 230,500 people -- approximately 20,000 of them children under age 19 -- were treated in doctors' offices, clinics and emergency rooms for lawn mower-related injuries in 2004, the U.S. Consumer Product Safety Commission reports. To help prevent injures, the American Society for Reconstructive Microsurgery (ASRM), the American Society of Plastic Surgeons (ASPS), the American Academy of Pediatrics (AAP) and the American Academy of Orthopaedic Surgeons (AAOS) have teamed up to educate parents, adults and children about the importance of lawn mower safety during National Safety Month, June 2006. "The power lawn mower is one of the most dangerous tools around the home, but many children view it as a potential toy -- resulting in thousands of debilitating injures every year," said ASRM President L. Scott Levin, MD, FACS.  Children should be at least 12 years old before they operate any lawn mower, and at least 16 years old for a ride-on mower.  Children should never be passengers on ride-on mowers.  Always wear sturdy shoes while mowing -- not sandals.  Young children should be a safe distance from the area you are mowing.  Before mowing, pick up stones, toys and debris from the lawn to prevent injuries from flying objects.  Always wear eye and hearing protection.  Never pull backward or mow in reverse unless absolutely necessary carefully look for others behind you when you do.  Start and refuel mowers outdoors -- not in a garage. Refuel with the motor turned off and cool.  Blade settings should be made only by an adult .  Wait for blades to stop completely before removing the grass catcher, unclogging the discharge chute, or crossing gravel roads. "Though mowing the lawn can be a great form of physical activity, it can also cause harm if the proper precautions are not taken," explained Richard F. Kyle, MD, orthopaedic surgeon and AAOS President. "It's important that people take their time when mowing the lawn, and teach kids at an early age to stay clear of these machines when they are running." Many lawn mower-related injuries require a team of physicians from various specialties to properly repair them. Often, patients must endure painful reconstructive operations to restore form and function. "Physicians in plastic surgery, microsurgery, pediatric surgery, and orthopaedics are at the forefront in repairing these injuries and see, firsthand, how devastating they can be for children and their families," said ASPS President Bruce Cunningham, MD. "It is equally important for us to aid in the prevention of these injuries as it is to repair them." "The sad thing is that so many of these tragic injuries are avoidable," said Eileen M. Ouellette, MD, JD, FAAP, President of the American Academy of Pediatrics. "A few simple precautions can protect thousands of children." Active children can face a number of dangers during the summer, but doctors warn that lawn mowers pose a real, and often overlooked, threat. In fact, nearly 210,000 people -- approximately 16,200 of them children under age 19 -- were treated in doctors' offices, clinics and emergency rooms for lawn mower-related injuries in 2007, the U.S. Consumer Product Safety Commission reports. To help prevent injuries, the American Society for Reconstructive Microsurgery, the American Academy of Orthopaedic Surgeons, the American Society of Plastic Surgeons and the American Academy of Pediatrics, have teamed up to educate parents, adults and children about the importance of lawn mower safety. "Parents need to understand that lawnmowers can cause terrible devastating injuries to children's hands, feet or faces, which can impact the rest of their lives," said ASRM President Neil Jones, MD. "The tragedy is that most of these injuries are totally preventable by following some simple precautions." "Many children who sustain lawn mower injuries must undergo reconstructive surgery for months, sometimes years, after the initial accident," said ASPS President Richard D'Amico, MD. "The look on parents' faces can be truly heart wrenching. We are the physicians called to treat these devastating injuries, but would do anything to prevent them in the first place." "Parents want to protect their children from accidents and injuries. But every summer we see children and teens using lawnmowers in an unsafe manner," said AAP President Renee Jenkins, MD. "It is our job as pediatricians to help get information to parents about how to prevent injuries that are common during summer months, and that includes injuries from lawnmowers."